Our forecasts are unchanged following MAPLETREE COMMERCIAL TRUST (SGX:N2IU)'s in-line 3Q19 results with MKE and consensus. Mapletree Commercial Trust’s better performance was on the back of improved portfolio occupancy, and growth momentum at VivoCity, where we see a stronger rental outlook post its AEI, given its strengthened destination-mall positioning. These are reflected in our estimates and valuations at 5.3% FY19 DPU yield, and our DDM-based Target Price stays at SGD1.60 (COE: 7.5%, LTG: 2%). The broad-based improvement across Mapletree Commercial Trust’s diversified commercial portfolio – on high occupancies and improving rents – support our view of DPU growth levers from potential acquisition/asset swap opportunities, which potentially result in about 9-10% DPU upside to our estimates. 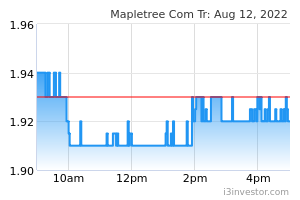 Mapletree Commercial Trust’s 3Q19 DPU rose 1.3% y-o-y on the back of 2.6% y-o-y revenue growth and 2.2% y-o-y NPI growth. 9M19 DPU met 75% of our full-year estimates. Portfolio occupancy jumped q-o-q from 95.9% to 98.1% with stronger occupancies across all properties except for MBC I (from 97.8% to 97.5%). VivoCity’s revenue and NPI rose 4.6% y-o-y and 3.9% y-o-y with occupancy at 99.9% as at end-Dec 2018. Rental reversions maintained momentum at +4.0% (was +4.1% in 2Q19). Shopper traffic, however, rose just 1.8% y-o-y, whilst tenant sales dipped 1.2% y-o-y. Management attributed this to transitory downtime (from the tail-end of AEI works and its deliberate tenant re-mixing efforts) and is expecting tenant sales growth momentum to pick up into the coming quarters. Its latest AEI at VivoCity has been completed after a year with the opening of a 32,000 sf public library at Level 3 in Jan 2019. This, together with the 24,000 sf (in bonus GFA) extension - comprising 10 lifestyle and atheleisure brands at Basement 1 from Jun 2018, should further entrench its positioning as a destination mall. Looking ahead, we expect stronger shopper traffic to support leasing demand. 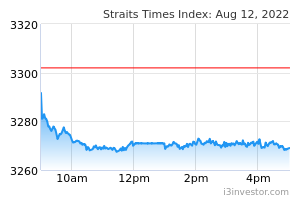 Gearing of 34.8% suggests SGD600m-1.2b in debt headroom for potential deals with MBC II as the frontrunner amongst it sponsored assets. We estimate 9-10% DPU accretion on a 55:45 equity-debt funding.